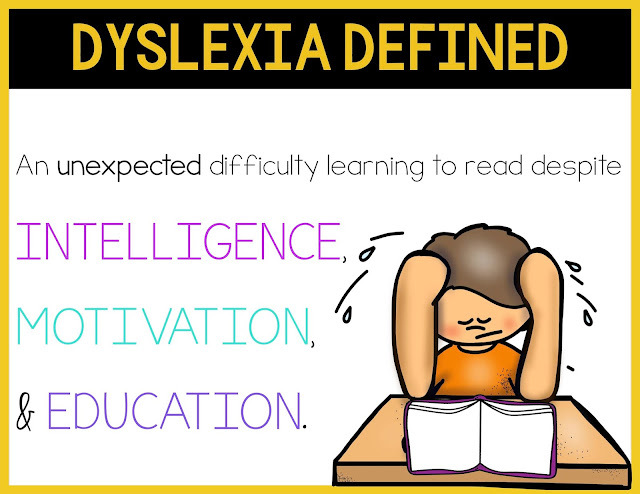 Definition from The International Dyslexia Association. 1. First, it is neurobiological. It is NOT from lack of effort or intelligence. There is a difference in the brain that develops before any formal instruction ever takes place. You will see below more about this. 2. It is a language based disability. It is not a problem with vision. 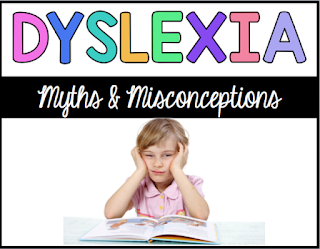 (See my post on myths and misconceptions.) People with dyslexia have difficulty with language skills, including reading, spelling, writing, and even pronouncing words. 3. 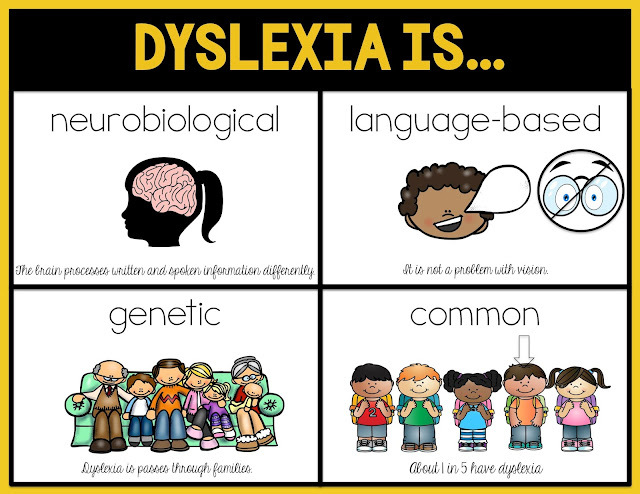 Dyslexia is passed through families. 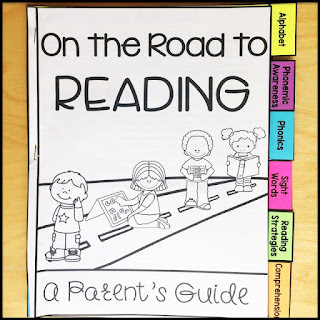 When a child is struggling with reading, this is one of the first things I look for- family history. 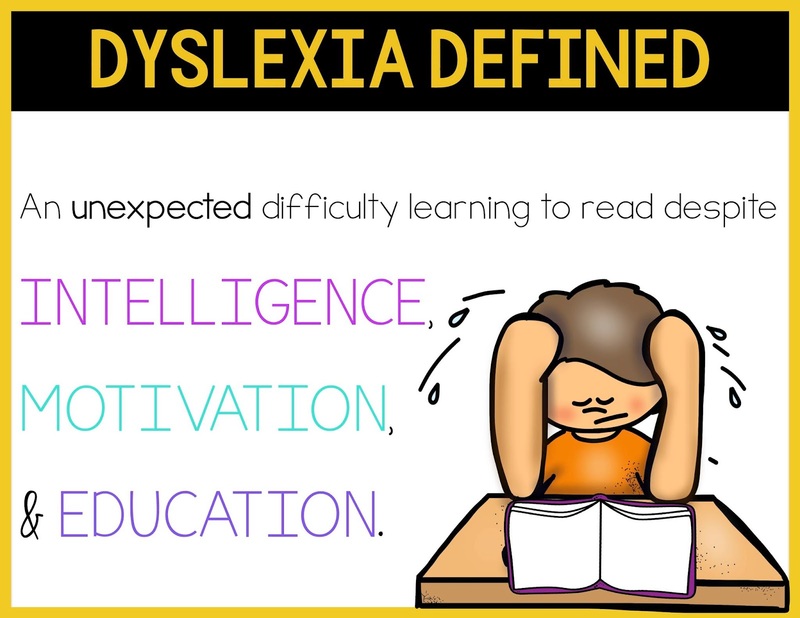 Many parents/grandparents might not know they have dyslexia but they will say they "had a hard time in school" or "don't like reading" or "aren't great readers." 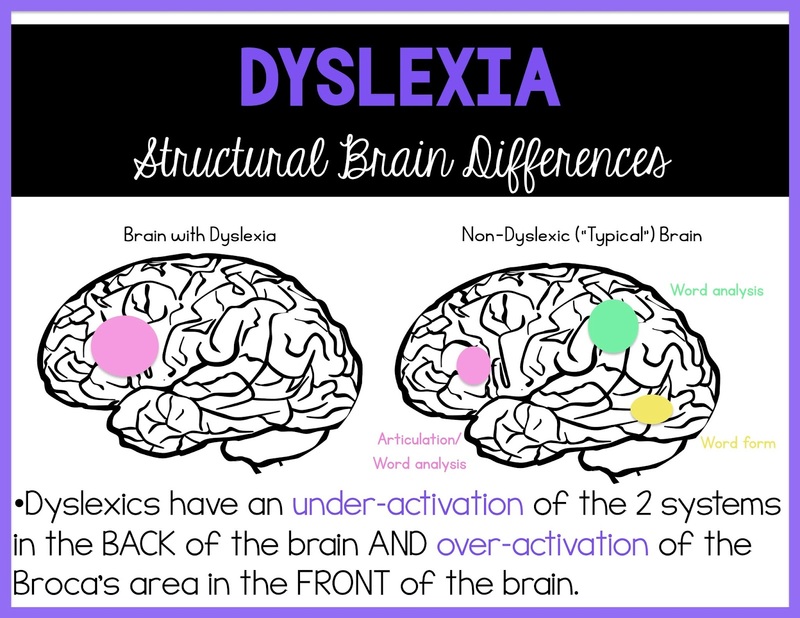 From Understood.org: "About 40% of the siblings of a person with dyslexia may have similar reading issues. Scientists have also located several genes associated with reading and language processing issues." 4. Dyslexia is more common than you realize. 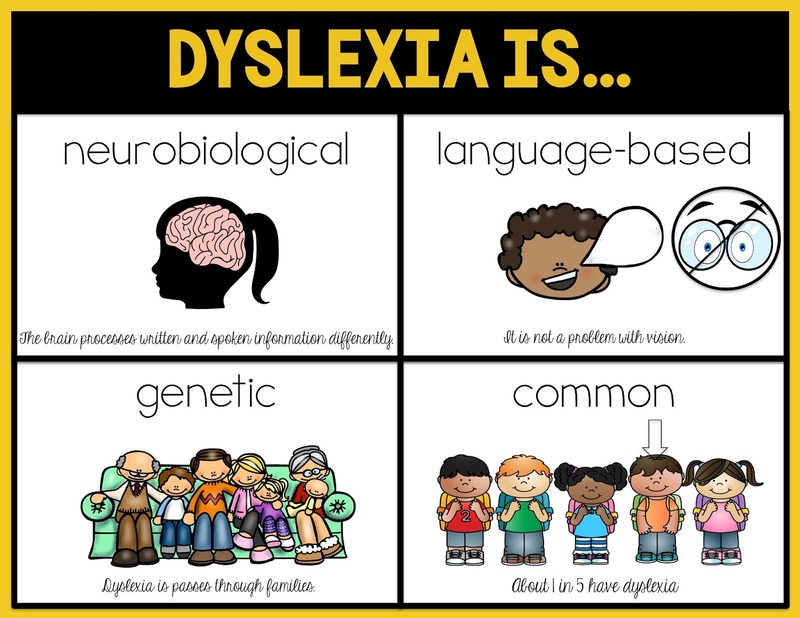 About 1 in 5 students have dyslexia. That means you most likely DO have a dyslexic student in your class. There is a wide spectrum of abilities and symptoms, so it is not always an obvious case. 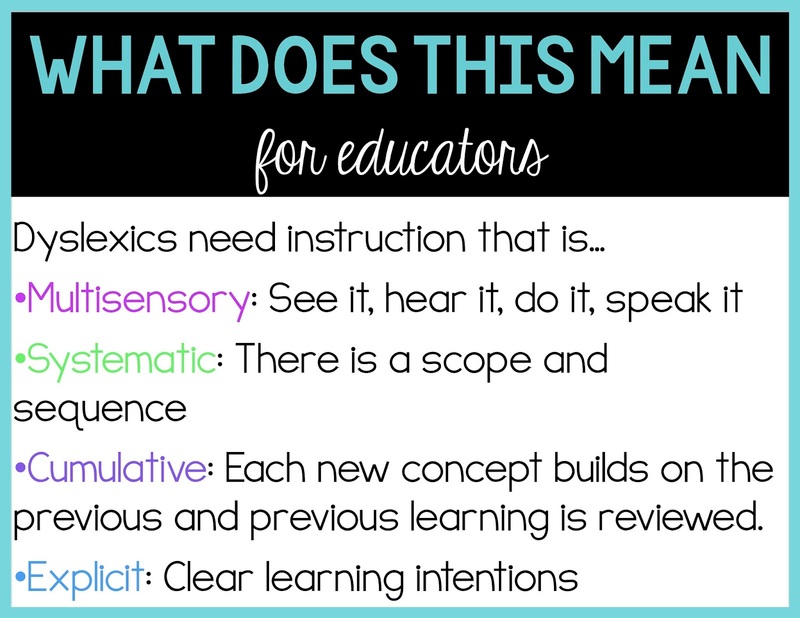 The more I learn about dyslexia, the more I see it. Think about it: If you have a class of 20, that means statistically, you have 4 kids who are struggling with this disability on some level. That's pretty significant! As I mentioned above, there is a pretty wide spectrum when it comes to the severity of symptoms. 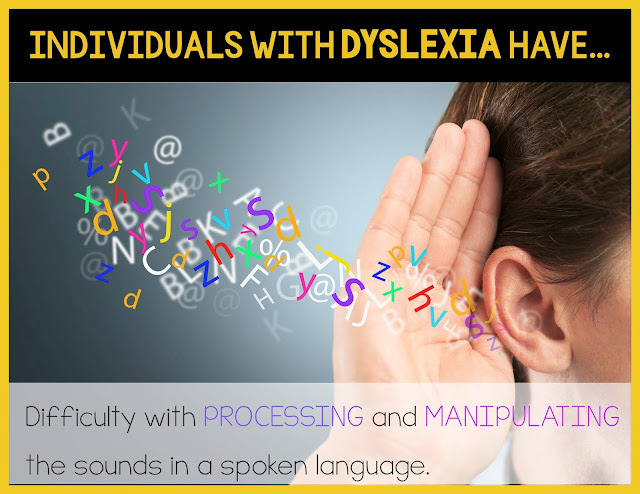 I started studying dyslexia when I had a student who was/is profoundly dyslexic. It couldn't be ignored, even if I didn't know what I was dealing with. 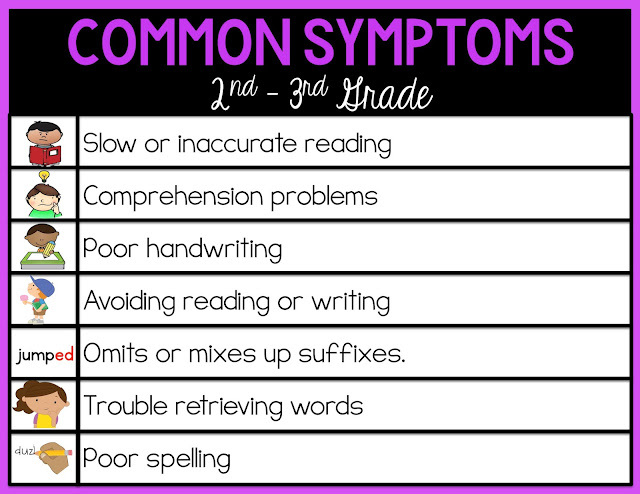 By studying his severe symptoms of dyslexia, I started to see the same symptoms in students who weren't struggling as much as he was. Now after years of knowing what to look for, I can see how truly common it is. For more information about phonological awareness, click here. I think sometimes people think since I work at a private school, there must be no struggling readers. WRONG! Dyslexia doesn't care how much money your family has. It does not go away just because your family has read to you since birth. I'm going to repeat that one because I have many parents who say, "But I read to them every night of their whole lives!" 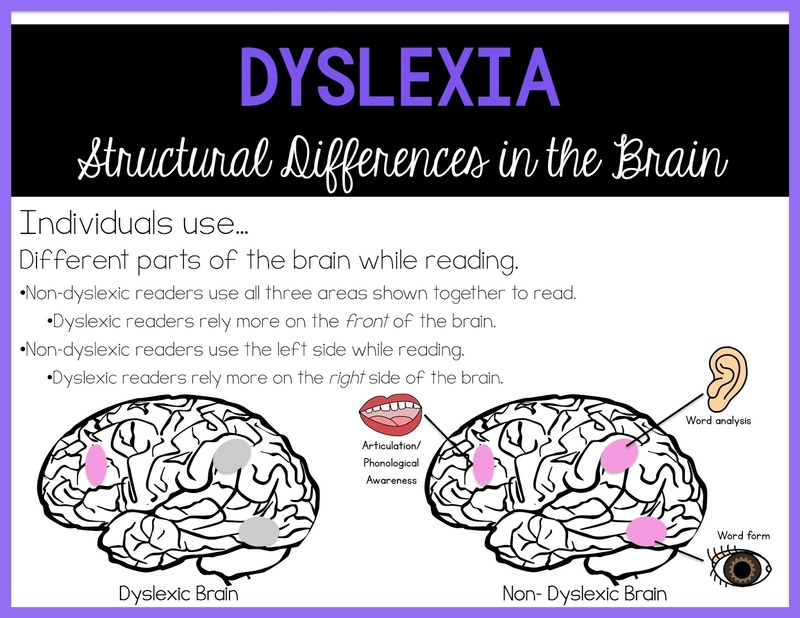 Reading to your child does not prevent dyslexia. It is neurobiological, remember? Let me be clear though- being read to as a child is still incredibly important. 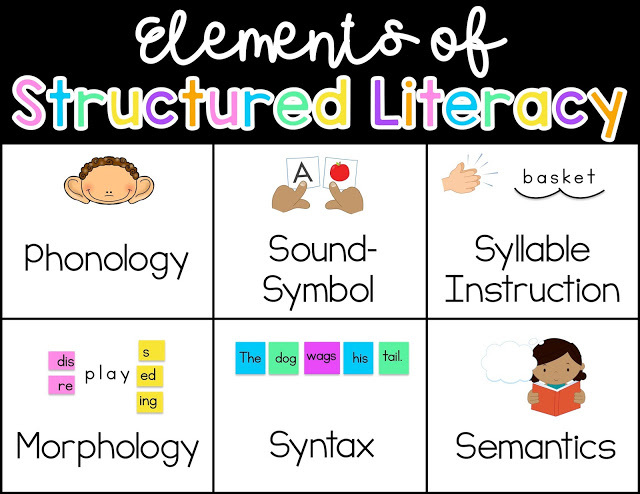 It develops comprehension, vocabulary, language skills, and (hopefully) a love of literature and learning. From what I understand, it won't prevent dyslexia, though. There is a difference between children struggling to learn to read because of background, opportunity, instruction, or circumstance and children struggling because they have dyslexia. 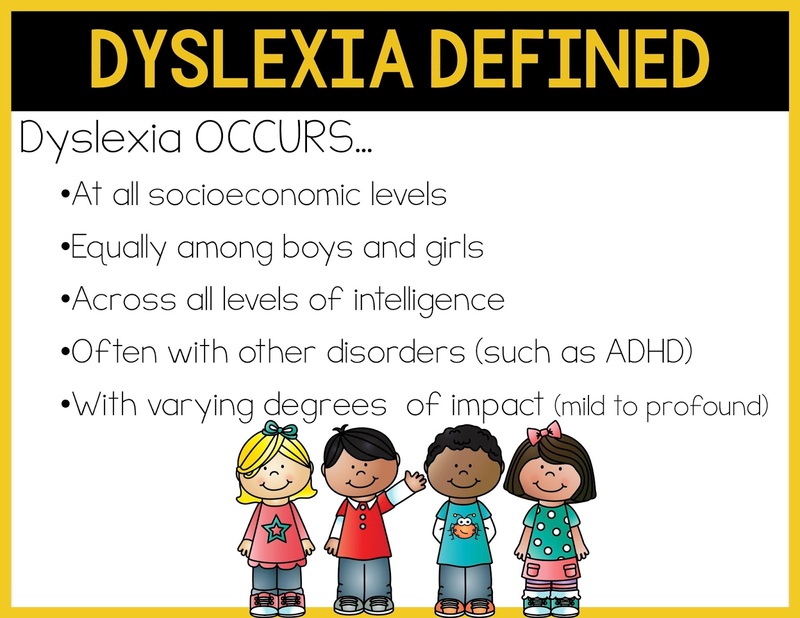 I was also surprised to learn that dyslexia is equal among boys and girls. I do think girls tend to look for ways to compensate and please the teacher in the classroom, making it more difficult to spot sometimes. That's why assessments are so important. *Update*: I recently read an article that is disputing this fact, saying that actually, boys are more likely to have dyslexia. Sounds like more research is needed on this one because I've read conflicting research now. In my own experience, it's been pretty equal among boys and girls. It's also important to remember that dyslexia has nothing to do with intelligence! In fact, dyslexics have average to above average intelligence. That's actually part of the definition. 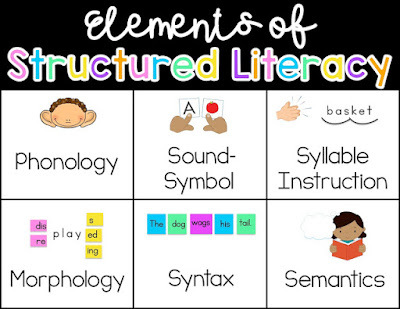 The best simple definition I heard was from PDX Reading Specialist. I don't know if she made this up or heard it somewhere else, but I'm giving her credit. This definition is simple and really sums it up. 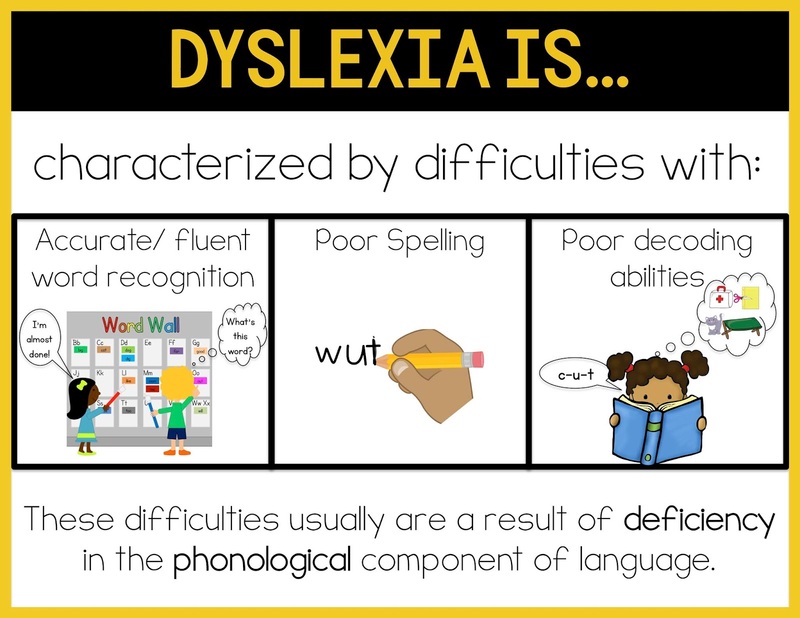 Now that we've looked at what dyslexia is, we can look at some of the reasons why students struggle with this disability. Let's look at the brain! Disclaimer: I am not a brain scientist or an expert in any way. I'm simply taking information I've learned and sharing it with you all. First, let's review one slide from my last post. Make sure you read that one first. the different roles each of these systems play. Remember that each system plays a part. They all work together to make reading a smooth process. 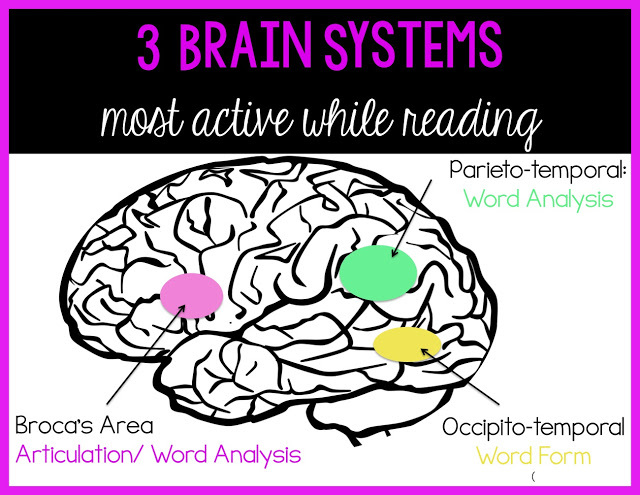 Notice how they don't develop that left-side word form area, which leads to fluent reading. This area is the place where word retrieval becomes automatic. 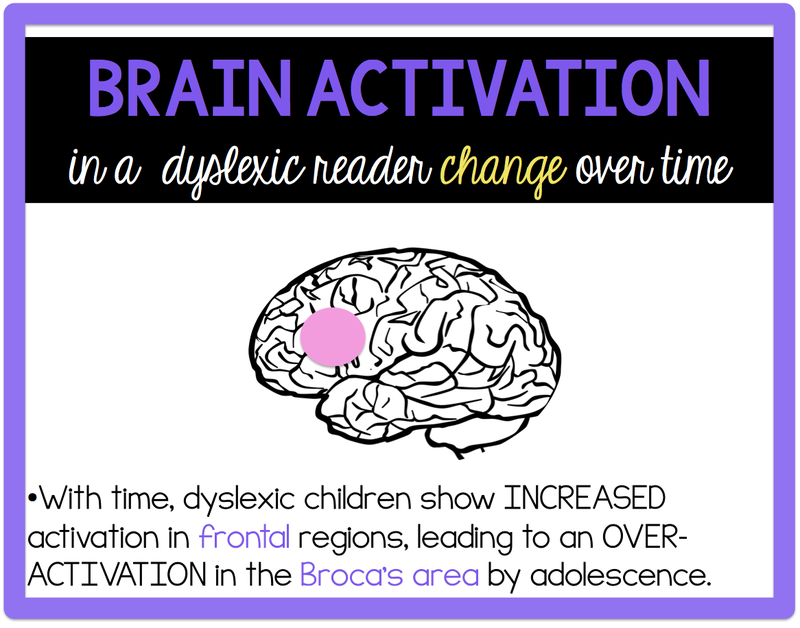 To read a word, individuals with dyslexia take a longer path through the brain. They can get delayed in that slow, analytic frontal part of the brain. 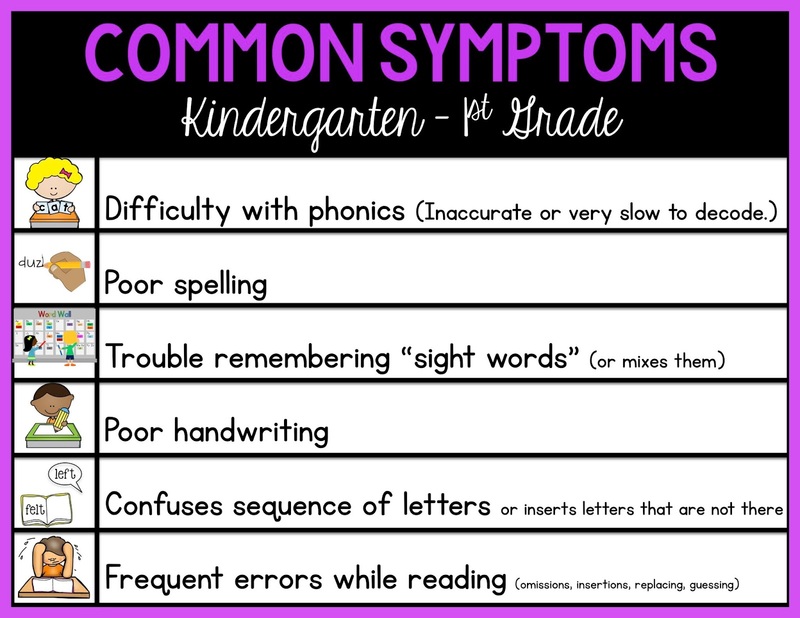 Now let's look at the warning signs of dyslexia. When I see these symptoms, I'm not about to go diagnosing anything. (There are specialists for that.) I will, however, start giving them support they need. Early intervention is key! This is when spelling becomes a bigger red flag. Fluency is also a biggie. 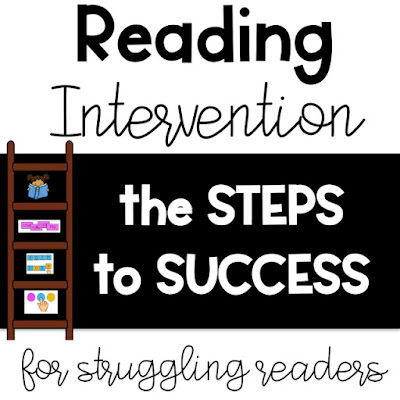 Comprehension problems are usually a result of the slow or inaccurate reading. These are kids that may have excellent comprehension during read-alouds but not when they read on their own. Third grade is usually the time where dyslexics hit a wall. If they were able to compensate with or hide their disability in the earlier grades, they usually can't anymore. That's because there are so many more words! They can't memorize every word anymore. Multi-syllable words become common. So many words look the same. Advanced decoding is necessary. 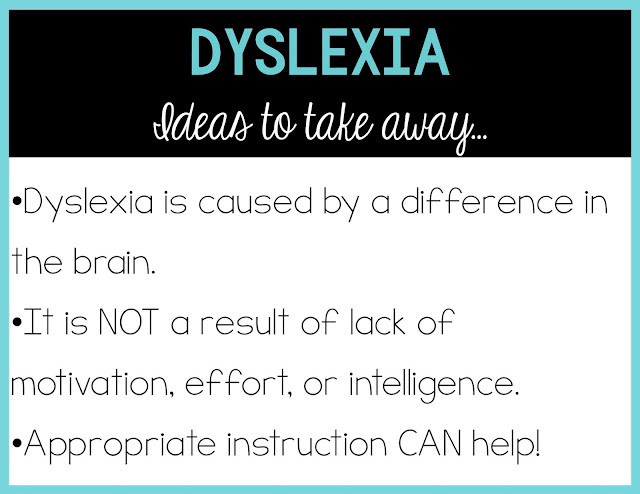 This post is all about the type of instruction that is appropriate and effective for students with dyslexia. 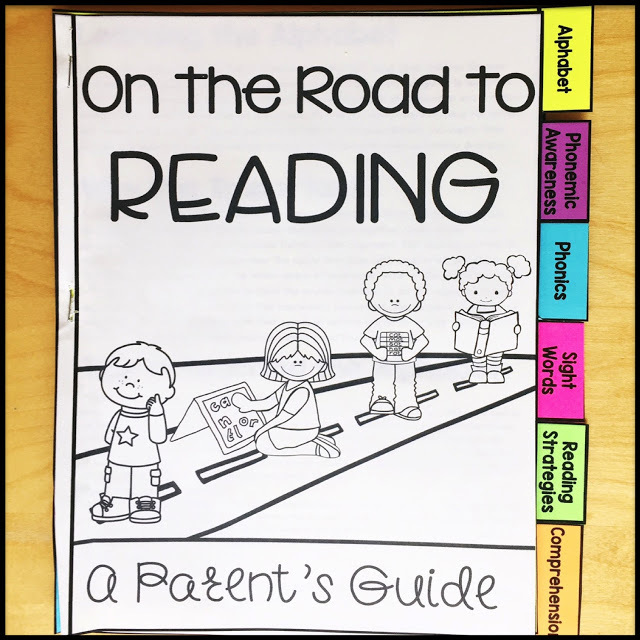 Click HERE to read about effective instruction practices and content for students with dyslexia. 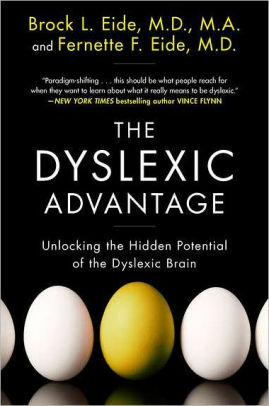 In the meantime, check out this blog: The Dyslexic Advantage. Um, yes please! 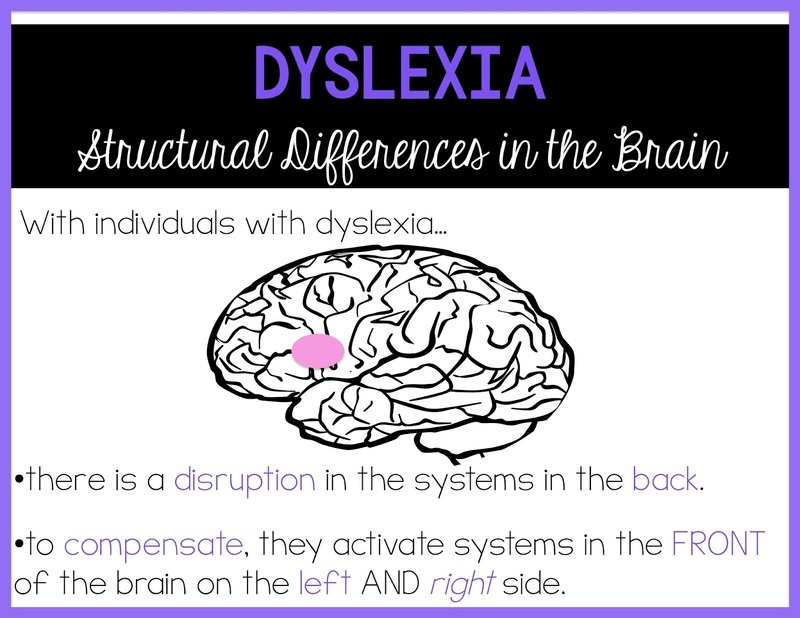 I LOVE that research is coming out about all the strengths associated with dyslexia. I definitely need to work on a blog post about that! I hope this post was helpful! 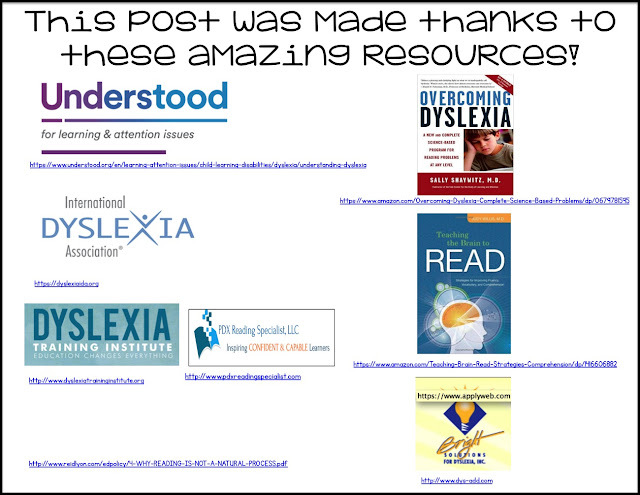 My information came from these resources. Click on the picture to download these links. 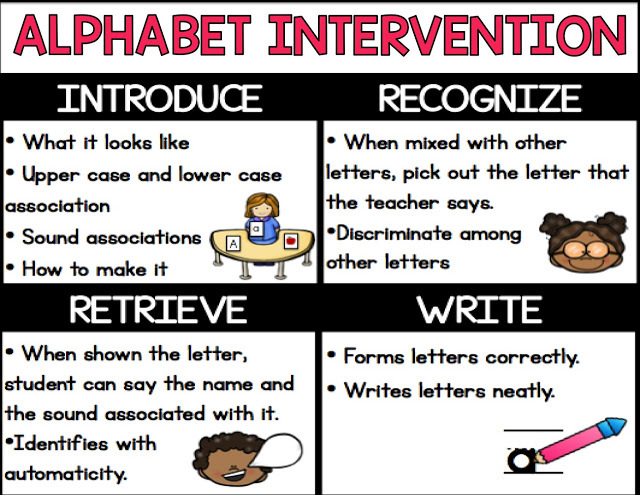 Click HERE to read about alphabet intervention. 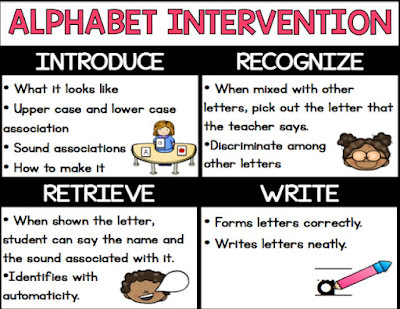 Click HERE to read about phonics intervention. Love this! It is so nice to see it visually represented in a way that even children can understand! I shared this with my first grade team, the KDG team, and pre-k team. 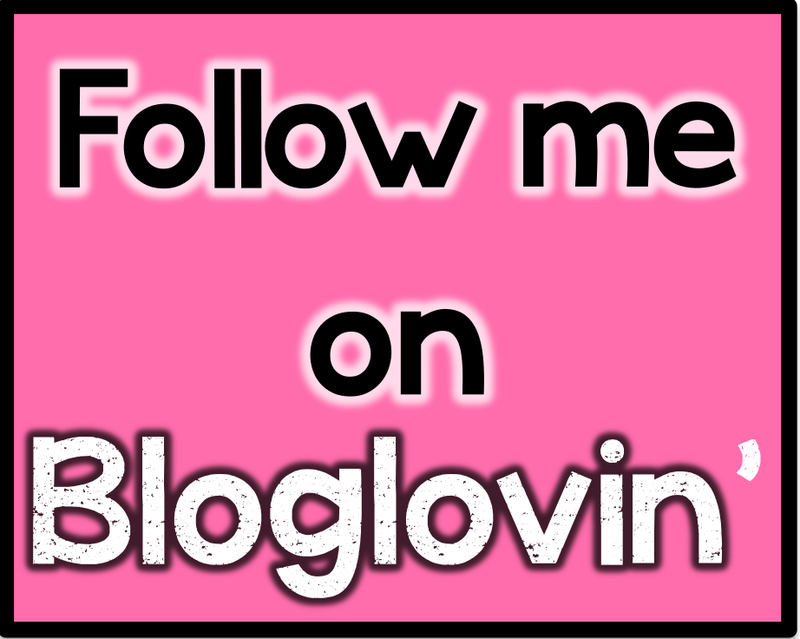 we are anxiously awaiting your next blog! I am a teacher & a Mom of a 2nd Grader who struggles to read, write & now it is effecting all her classes. I looked into private testing, but it is just too expensive ($1500). I've started working on testing through a hospital that doesn't charge money, but it has a 7month wait list. By the time we have results, she will be in 3rd. I am highly frustrated. She knows all of her sight words from FRY's list in isolation, but not when reading. We spend HOURS on spelling words & she often makes a 70. So frustrating!! Please email me and I'd love to help in any way I can! Have you heard of Trish Martin's Unlocking the Code/Rewiring the Brain? If not, you need to. 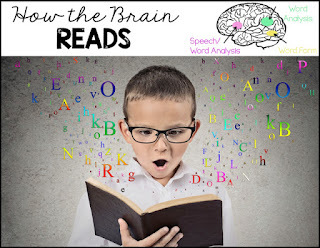 Her program is amazing, and all about building better, stronger pathways in the brain to help children understand the structure of language/read. We are starting the program in our district this year...the training (I had a super condensed version) was eye opening! Thanks for your article, it is really helpful, you describe everything in details and in easy words. Well, it is a shame when your children are faced to such problem as dyslexia. And I think that in such situation it is very important to help the child, do not push on him or her, try to explain what happened and be useful for him. Also in our current world we have a lot approaches or hints that can help your child in learning even with dyslexia, it may different services or British custom coursework writing or special developing lessons. At any rate parents and the teachers should help the child to feel that he is a normal and healthy person, but need some more effort. These snippets are so informative and teacher/parent/student-friendly. 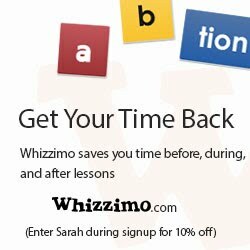 Would you allow teachers to use these and post on their classroom websites? Do you have the images as slides? I would love to have them. 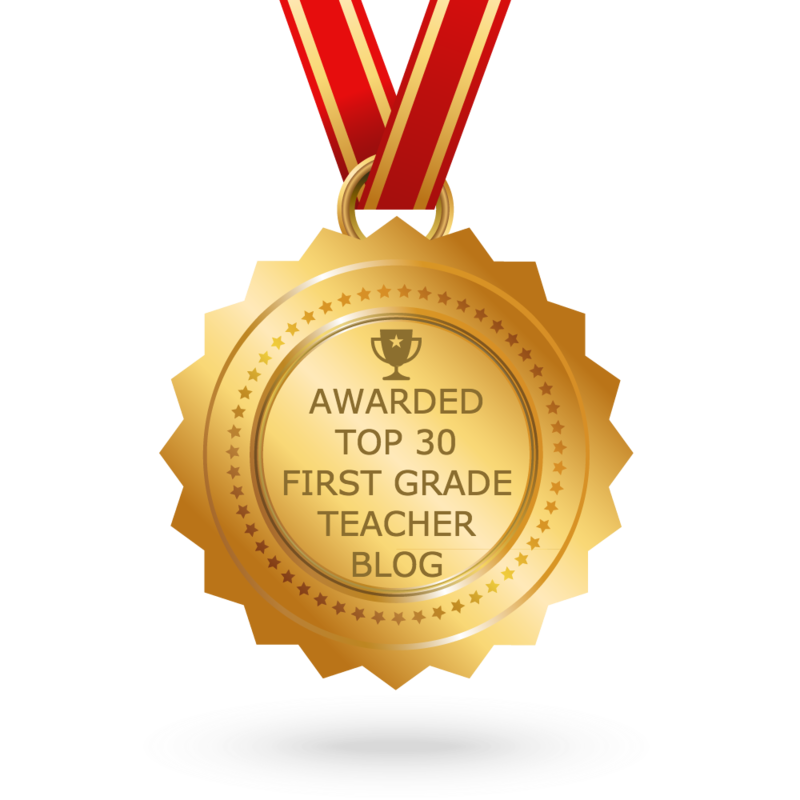 Sarah, I would looove to share these graphics with my faculty and parents. Are they available for purchase on TPT? If not, can you send them to me? I’d love to have a copy.